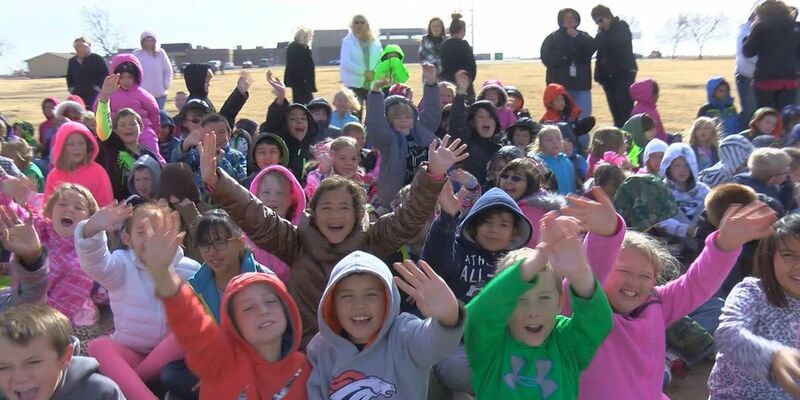 AMARILLO, TX (KFDA) - The ground has been broken, and construction on a new school for Canyon ISD will officially begin over winter break. With new subdivisions and developments starting construction in south and southwest Amarillo, these areas are attracting more people, and fast. While CISD's schools in this part of the city aren't overcrowded yet, it's getting close, and a new intermediate school will alleviate that pressure. Ground broke today just north of Sundown Lane Elementary School, where CISD's new intermediate school will open in August of 2018. This will relieve the growing population of Greenways Intermediate, which has almost 1000 students. "Well with the amount of growth, when 6 of the 8 developments are happening in Canyon ISD, it looks like there's growth on the horizon that we'll have to address," said Darryl Flusche, CISD superintendent. "We're very excited about that, there's a lot of progress in the area." The new school for 5th and 6th graders will start its first school year with around 500 5th and 6th graders. It doesn't have a name yet, but Flusche said the school colors will be black and red. "You know, a brand new school starts with a new mascot and new colors, new traditions and new customs about how we operate," said Flusche. "So [the students] will be involved in setting what are those traditions they carry on for a long long time." The 3rd graders at Sundown Lane Elementary may be the first class to start at the new school as 5th graders. We asked them why they're excited to be the first people going to a brand new school. "When you go to a different school it's fun because you learn new stuff." "The thing about a new school that's great is you get to have new friends to play with." "We are making an educational environment where people want to have their children here," said Flusche. "That's very exciting for us. That's very encouraging for us that the parents would trust us with the educational experiences of their children." A new subdivision will begin construction next year that will fill the space between Sundown Lane and Hollywood Road. Flusche said that growth may call for another new school soon for CISD.